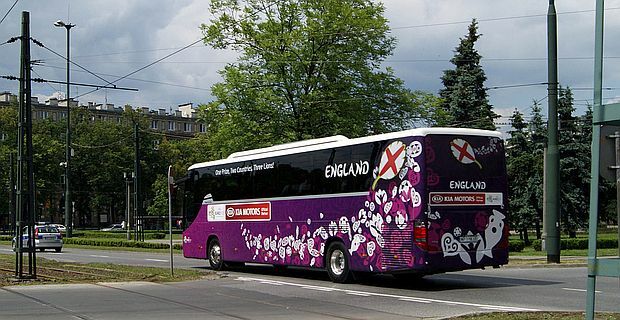 England secured a place in the quarter-finals of Euro 2012 with a nervy victory over hosts Ukraine in Donetsk. Wayne Rooney’s goal separated the teams, and France’s defeat by Sweden meant England finished top of the group. That surpassed expectations for Roy Hodgson’s makeshift side, and England’s campaign so far has been characterised by impressive spirit that has partially compensated for a lack of style. Rooney’s header from Steven Gerrard’s well-struck cross was the bright spot, although Rooney generally looked short of sharpness after his return from suspension. England appeared to have conceded an equaliser in the second-half, but the referee failed to notice that John Terry’s acrobatic clearance came after the ball had crossed the line. Hodgson accentuated the positives and said that Rooney will only get better. "He's got character, hasn't he?" the England manager said. "It is a while since he played a competitive match, so he's got to be happy with the way things went for him. Every day helps him and helps us. The fact he's had 80 minutes in this game will give him confidence going into the next game." England now face Italy in the quarter-final in Kiev with quiet hope. Expectation has already been exceeded. "Italy is a difficult game," Rooney said, "and it will be quite evenly matched in the way we play, so it could go either way, We're feeling confident and difficult to beat at the moment. It's going to be a tight game but hopefully we can come out winners. We know our qualities and what we're capable of. I don't think any team will fancy playing us."